Kyoto is Japan’s most enchanting city. Here, the legacy of old Japan lingers amongst the new, modern developments. Imperial capital for over 1,000 years, when the emperor moved to Tokyo in 1869 he left behind a treasure trove of arts and culture. Delve into a city of temples and numerous World Heritage Sites, investigate the roots of Geisha culture and celebrate modern cosmopolitanism with some of Japan’s best nightlife on your tour of Japan. Here’s how to spend the perfect 48 hours in Kyoto. Hop on the Keihan line two stops out of the city to Fushimi-Inari station and cross the road to the breathtaking Fushimi Inari-tashi. Spread across a forested mountain slope, follow the tunnel of vivid red torii gates that wind their way between the temple’s five main shrines. It is about four kilometres to reach the top. Take your time exploring, keeping an eye out for the fox statues: the messengers of Inari. Grab a treat from the delicious range of snacks for elevenses around the temple entrance. Stroll around the corner to the Imperial Palace, the residence of the former Emperor of Japan until 1849 when the capital moved to Tokyo. Tours of the palace are available, but just wandering the vast grounds gives a taste of imperial life. 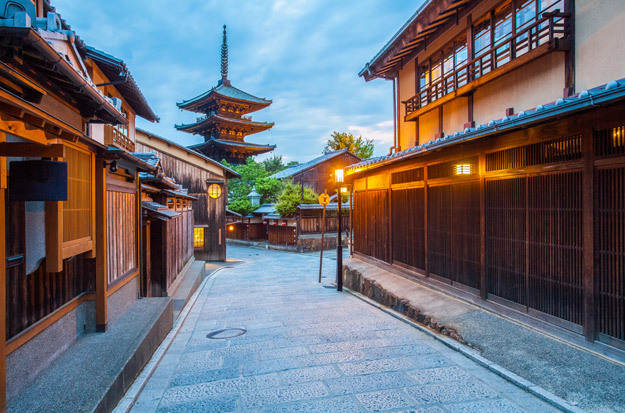 Wander the atmospheric streets of Gion, formerly one of Kyoto’s most famous entertainment and geisha quarters in the 18th century. The backstreets offer an enclave of the past, dotted with old wooden teahouses which are still used exclusively for geisha entertainment, making them the best place to try and catch a glimpse of a fabled geisha, scurrying to her next appointment. On the edge of the city centre nestled in leafy suburbs that are easily reached by train, you’ll find some of Kyoto’s most impressive temples. Start at Ginkaku-ji, the Temple of the Silver Pavilion. Built as a mountain retreat, it was converted into a Zen temple in 1490. Although not silver, the temple’s landscaped gardens are suitably sumptuous. 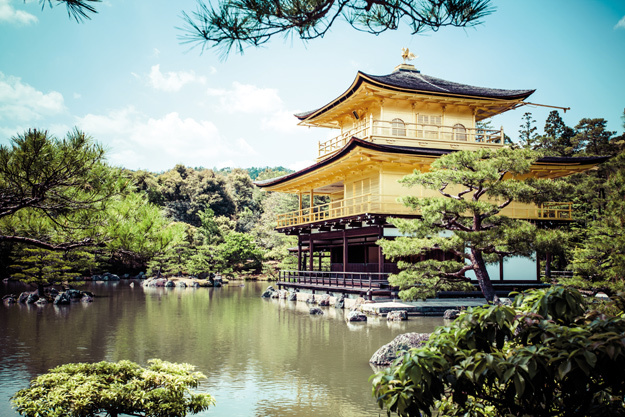 Continue to Kinkaku-ji, the Golden Pavilion, a shimmering gold temple set in a reflecting pool. This is one of Kyoto’s most celebrated sights. Next, contemplate the perfect harmony and simplicity of the famous 15th-century Zen garden at Ryoan-ji. Pop onto the tram and ride to the end of the line to Arashiyama. Before beginning your explorations of this district, sit down to a lunch of ‘yudofu’, a great Arashiyama Buddhist speciality consisting of tofu cooked in hot broth. 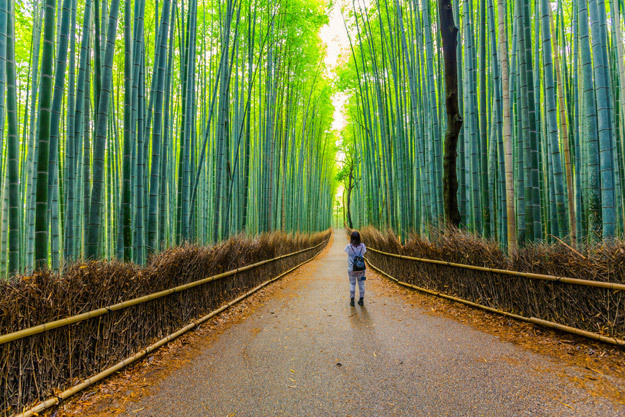 A relaxed and atmospheric place backed by forest-cloaked hills, Arashiyama is the place to be for an afternoon of relaxed discovery. Browse through the shops lining its main thoroughfare before wandering the paths through the famous Sagano Bamboo Forest. 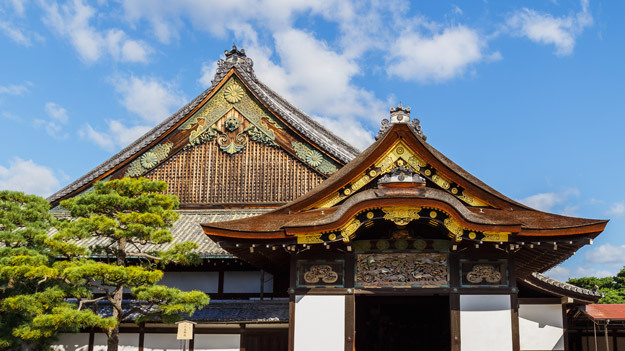 Then visit Tenryu-ji, one of Kyoto’s five great zen temples, and its Sogenchi Garden, before grabbing a coffee and snack at one of Arashiyama’s many cafes. If you have time, you can climb the steps of the nearby hill just across the river to get one of the best views of the city, whilst Japanese macaques run around your feet at the summit’s Iwatayama Monkey Park. You’ve now spent the perfect 48 hours in Kyoto! 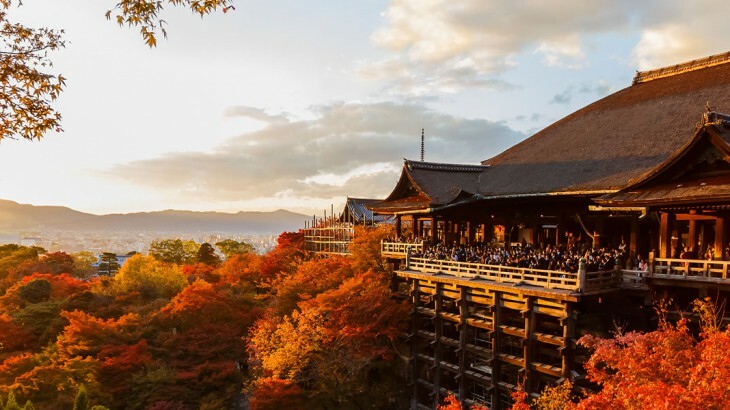 Find out even more on our Kyoto destination page. 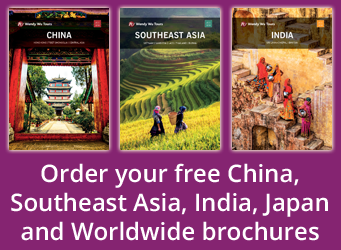 Visit imperial Japan with Wendy Wu Tours, the UK’s leading Asia Experts. Our fully inclusive, escorted tours to Japan visit all the major sights for an unforgettable holiday. Japan japan news, sightseeing, top things to see, tourism, tours. permalink.